Leah's brother Royal has returned from the Civil war battlefields but has found himself engaged in a battle of a different sort - a battle for a lady's affection. The lady is the beautiful Lori Jenkins of Chattanooga, and the enemy is the dastardly Drake Bedford, one of Pineville's most venomous fighters. Just as their friendship starts to blossom, Lori is called home to Tennessee to care for her sick sister and Royal once again must face the Rebel army. The good news is, the army is headed toward Chattanooga where the friendship could continue to grow. The bad news is, Drake Bedford has decided to join the Union army as a soldier in Royal's company! Join the excitement as the conflicts continue, on and off the battlefields. And see how God's grace can change the lives of even the most stubborn sinners. Battle of Lookout Mountain is the seventh of a ten book series, that tells the story of two close families find themselves on different sides of the Civil War after the fall of Fort Sumter in April 1861. Thirteen year old Leah becomes a helper in the Union army with her father, who hopes to distribute Bibles to the troops. Fourteen year old Jeff becomes a drummer boy in the Confederate Army and struggles with faith while experiencing personal hardship and tragedy. The series follows Leah, Jeff, family, and friends, as they experience hope and God’s grace through four years of war. 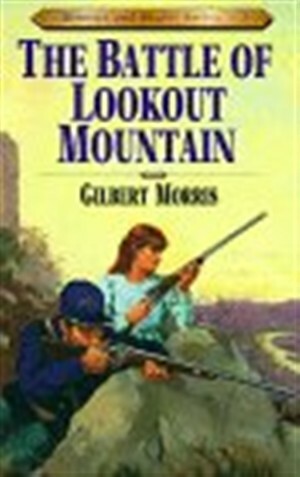 The Battle of Lookout Mountain : Book 7 by Gilbert Morris was published by Moody in July 1997 and is our 60513th best seller. The ISBN for The Battle of Lookout Mountain : Book 7 is 9780802409171. Be the first to review The Battle of Lookout Mountain : Book 7! Got a question? No problem! Just click here to ask us about The Battle of Lookout Mountain : Book 7.